Solar Light Company, Inc. is recognized worldwide as America’s premier manufacturer of Precision Light Sources, Light Measurement Instrumentation, UV Transmittance Analyzers, Meteorological Instrumentation, OEM UVC Instrumentation, and over 135 different types of Digital and Analog Sensors. 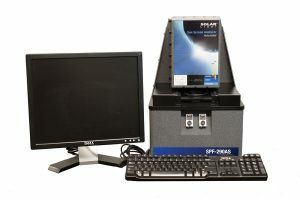 Solar Light’s versatile SPF-290AS UV Transmittance Analyzers / Sunscreen Protection Factor Analyzer is an integrated turnkey desktop system for quick, efficient, and accurate UV Transmittance analysis of sunscreens, liquids, lotions, creams, sprays, gels, powders, emulsions, textiles, and more! 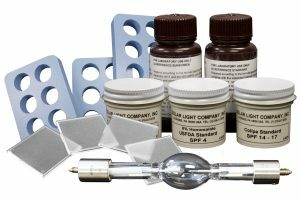 Solar Light offers a plethora of consumables for SPF and other testing requirements, including high quality Molded and Sandblasted PMMA Plates, Pre-Analyzed and Certified SPF and UVA Sunscreen Standards, Disposable Medical-Grade Pads, and long-life spare Xe Lamps for use with our state of the art Solar Simulators. 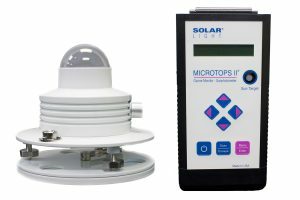 Solar Light Company, Inc. is the world's leading manufacturer of premium Atmospheric Instrumentation Products, including the innovative Microtops II® portable Sunphotometers and Ozonometers, the field-proven 501-Series Radiometers and Biometers for permanent outdoor installations, and the pioneering Model 511 UV Warning Signal® device. These precision instruments are heavily relied upon by the most prestigious meteorological observatories, weather stations, and research agencies in the world including NASA, the Australian Radiation Protection and Nuclear Safety Agency (ARPANSA,) the Natural Resource Ecology Laboratory (NREL,) and countless others. 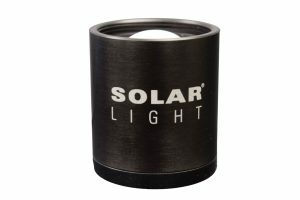 Solar Light offers one of the most comprehensive lines of radiometers in the industry today, to serve any niche in light measurement.These units are offered under the PMA-Series, Specialty Meter, and Solarmeter® banners. Our laboratory-grade PMA-Series PMA2100 and PMA2200 meters can each be used with over 85 of our PMA-Series Sensors, allowing a single meter to serve as aphotometer, a pyranometer or a UV meter simply by changing the sensors! Advanced data logging and software packages are available as well, for total versatility. Solar Light's specialty meters target specific applications, such as the SL-3101 Scotopic / Photopic meter with on board calculations for Perceived Brightness, Visual Effectiveness and the S/P Ratio. We also offer safety meters such as the Model 6D for detecting hazardous UV in the workplace per ACGIH guidelines, and the UV Minder® Model 3D to measure the UV from sunlight or artificial sources, including sensitive versions designed for Xeroderma Pigmentosum patients. Finally, we manufacture the exciting Solarmeter® family of specialty hand held light meters for consumer, light industry, zoological, and life sciences applications. These affordable but extremely accurate radiometers have a 25+ year track record as the industry leaders for a variety of uses, including precise UV index measurement for reptiles and humans, measuring lamp irradiance vs. aging, window film tint measurement, UV curing, sterilization lamp measurement, red/blue light phototherapy, LED measurement, and photovoltaic (PV) solar irradiance metrology. Solar Light’s NIST-Traceable PMA-Series Sensors represent the pinnacle of accuracy, durability, and selection on the market today. Our sensors measure discrete bands of the electromagnetic spectrum from the UVA, UVB, UVA+B, UVC, Visible Light, and Infrared regions. Both narrow and broad bands are available, to fit any application. Specialty sensors are also available, including UVC sensors used in sterilization and germicidal applications, environmental probes, and sensors for biologically weighted spectra (such as the erythema and CIE action spectra.) In addition, our visible light sensors detect the entire visible light spectrum, accurately measuring photopic and scotopic energy. Such measurements enable lighting engineers to specify the optimum light level for human comfort, eliminate excess lighting, and ultimately save energy. Over 135 different sensors are available in a variety of packages to fit any environment, from indoor clean rooms to harsh locations outdoors to 100 meters under water. If you do not find what you need from our standard selection, please contact us - custom sensors are our forte! Please note that Solar Light offers both Digital Sensors and Analog Sensors in the PMA-Series lineup. Select the Digital Sensors if you prefer to plug into our PMA-Series Radiometers to read the output of the sensor on the meter’s display. Digital models are typically used as discrete sensors that are portable and located to provide short term information. 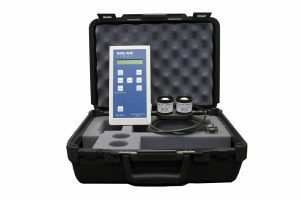 By contrast, Analog Sensors are a better choice if you don’t need a digital display output of the reading, if you will be connecting to your own datalogger, or if you plan to use a voltage source to provide excitation voltage to the sensor and a digital volt or amp meter to read and convert the results. Analog Sensors are typically used as process sensors that are permanently installed to provide ongoing information. 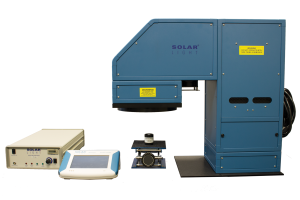 Solar Light's Solar Simulator Testing Kits are designed for scientific and industrial professionals who want everything they need to begin testing all in one comprehensive package. Standard testing kits are available for: -Basic academic research -Fade and color fastness / materials and plastics testing -Photobiology testing for mutagenesis research and UV biological experiments -PMMA plate pre-irradiation during in vitro broad spectrum sunscreen testing -Photovoltaic cell testing to accurately replicate full spectrum sunlight -SPF testing for in vivo sunscreen research -UVB-only testing for in vitro and in vivo sunscreen testing, and dermatological studies -UVA-only testing for in vitro and in vivo sunscreen testing -High Energy Visible Output testing for in vitro and in vivo sunscreen testing -Infrared testing for for in vitro and in vivo sunscreen testing and specialty tests -Custom Wavelength tests for a myriad of specialized requirements In standard configuration, the Solar Simulators produce solar UV radiation in the 290-400nm range, Air Mass 1.5, or Air Mass 0, depending on the application. However, all can be quickly and easily configured by the user to provide UVA only, UVB only, UVA+B, or full spectrum sunlight optionally. Models are available from 150W / 0.4″ (1cm) to 1000W / 6″ (15.25 cm.) These precision research-grade instruments are specifically designed to comply with laboratory standards such as ASTM, IEC, ISO, and more. The Kits arrive complete with everything required to begin testing immediately, including Solar Simulators, Power Supplies, Automatic Dose Controllers, Radiometers, NIST-Traceable PMA-Series Sensors or Pyranometers, safety glasses, and many other related accessories. No more guesswork or hunting around for the myriad components required to start testing! Custom Solar Simulator Testing Kits are also available - please contact us with your specific needs today!